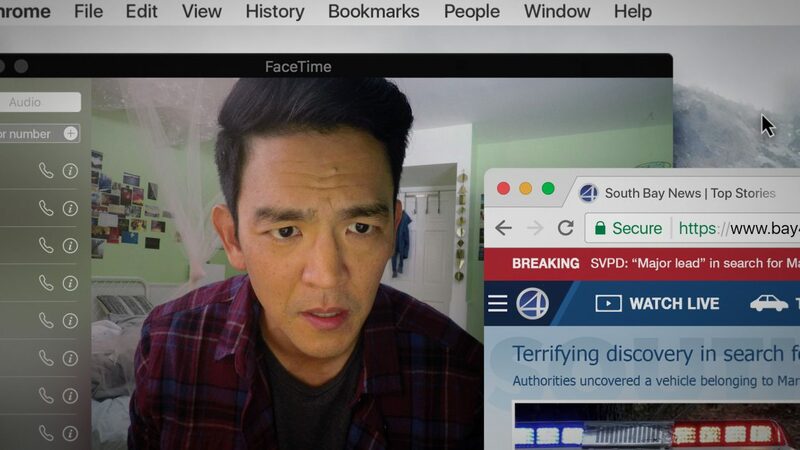 John Cho stars in Screen Gems' thriller SEARCHING. "I think we should take solace in the fact that even though we’ve been underrepresented for some time, we’ve been around." John Cho has been in acting game for more than two decades, beginning with Asian American independent films like Shopping for Fangs and Yellow, and expanding to different genres, from the buddy comedy series Harold & Kumar to Star Trek Beyond. In between, he was the lead in the romantic comedy TV show Selfie. Later, he became the center of the hashtag campaign, #StarringJohnCho, where Cho was reimagined as the male star in Hollywood blockbuster films. His two most recent films that he plays the lead are both directed by Asian Americans and are both independent films. The Korean American actor starred in Columbus, directed by Kogonada. In his latest film, Searching, directed by Aneesh Chaganty, Cho plays a Korean American father who looks for his missing daughter. The suspense-thriller won an award at Sundance, and opened in select theaters last Friday. On Friday, August 31, it will be widely available in movie theaters across the country. Below, he chats with CAAM about his thoughts on the #StarringJohnCho hashtag campaign, the current Asian American representation wave during the success of Crazy Rich Asians, the important and power of everyday audience members, and about why Searching is such a moving story about a modern Korean American family. In a recent Instagram post, you made a specific reference to #StarringJohnCho. How do you think social media campaigns and hashtags affect individual careers? Has it affected yours? It’s part of a larger question, and perhaps smarter people who study this sort of thing can answer this question. For me the larger question is the connection between digital life. There’s some connection; I don’t know what it is. It’s hard for me to grasp it. Certainly, I guess the parallel is our political debate. What’s going on between left and right in America right now and this online discussion: does it change anybody’s minds? Or do they further entrench [their beliefs]? I have a feeling that it’s somewhere in the middle. But I don’t know where. What I was saying is we, the audience, can establish something. That we’re not asking Hollywood to say, “Please cast him or her.” We’re saying, “We’re just going to make this popular. We’re going to see this.” And that’s the greatest power there is. I just wanted to steer the conversation away from the gatekeepers. The discussion heretofore has been, “Will they allow us in?” From my vantage point, they don’t call the shots. We do. Do you think after seeing the success of Crazy Rich Asians, that it will affect how well Searching does, or general interest in a film starring Asian Americans? I think that, first of all, my reaction is, I’m very moved. It’s very generous of them to share the spotlight with us. Box office-wise, especially when you’re doing a limited release like us, that’s very, very helpful. The fact that they did that when we did during the first weekend, our limited release was very, very cool. I don’t want to lose sight of the fact that we have been here and will continue to be here. 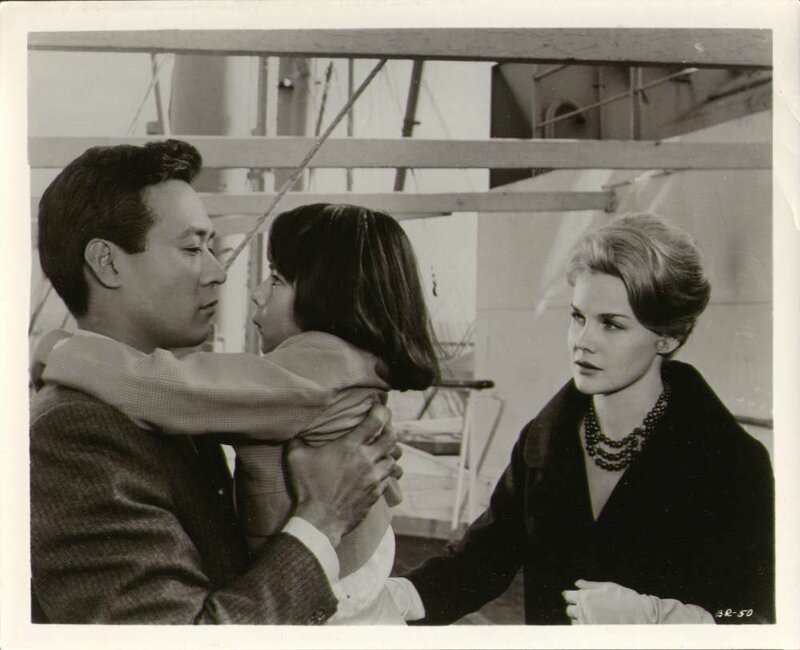 There was Anna May Wong and James Shigeta. There was Wayne Wang and Chan is Missing and Joy Luck Club and The Namesake and Better Luck Tomorrow and hundreds of others. I just want to point out that we just keep moving forward. I think we should take solace in the fact that even though we’ve been underrepresented for some time, we’ve been around. In this moment, everyone is asking, “Will mainstream America finally accept us?” And I say, “We decide that.” I think what we need to focus on is supporting our artists and telling our stories. Let’s dive into the film you’re in. What drew you to Searching? It was a really great script. It was quite a page turner. It was a genre film. The thriller genre — hadn’t played in that space before, and I was really interested in doing it. And the character was interesting. I haven’t played a dad before, really, and I think it was an interesting way to bring that part of my life in to a role. I played one in Star Trek Beyond, but Searching was certainly the biggest role as a father, and oldest child I’ve had. But I did say no at first because I didn’t want to do a film that was set on screens. Aneesh [Chaganty] and I met eventually after I passed on it and he convinced me that we were making cinema, and not a YouTube video. 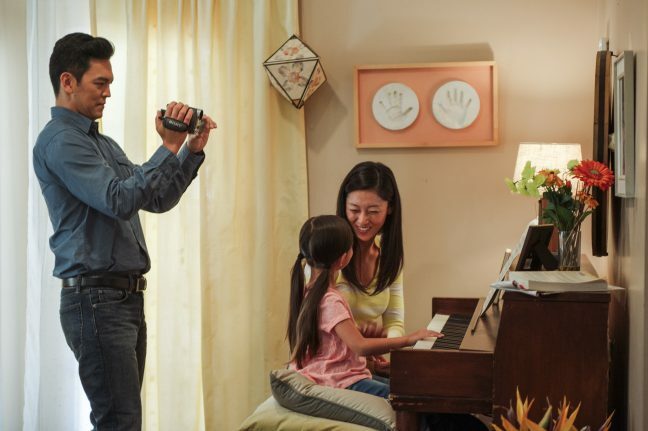 It was nice to see an Asian American dad and family on screen that wasn’t stereotypical. It feels very modern. I think what you may be referring to is this sort of films have some sort of generational conflict. The younger generation rubbing up against the older generation. The way the story was constructed, it just didn’t do that. So that felt new and different. John Cho, Alex Jayne Go and Sara Sohn in Screen Gems’ SEARCHING. Yes, that’s right. What was your favorite part about making this film? We had fun making it. I don’t know if there’s a particularly juicy story. The most gratifying part was probably the moment you’re talking about—appreciating the Asian American family—I hadn’t thought about it a long time. It wasn’t until I saw the audience at Sundance, with families, that I was very moved. I just don’t know that I’ve seen an Asian American family — it’s crazy how rare that is — just not have a cultural problem. The problem was the daughter went missing, or the mom was sick, but it wasn’t something to do with culture. Not that there’s not a place for stories like that. I just like widening the scope of our storytelling. So that was very new and unusual and cool to me. I was surprised at how emotional it was to me.